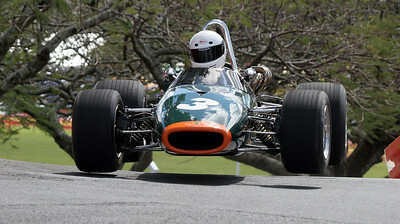 The annual Festival of Speed on Tweed will have hearts racing on the streets of Murwillumbah from September 10-12 and with this year's 'Australian Specials' theme, the event is expected to attract the country's finest, classic all-Australian race cars. Coinciding with the iconic festival, Peppers Salt Resort & Spa, Peppers Balé Salt and Mantra on Salt Beach are offering a bevy of winning accommodation deals, close to the event, from just $198* per room per night. Matching first-class facilities with a stunning location, visitors to SALT will enjoy uncrowded patrolled surf beaches, tropical lagoon swimming pools, heated rock pools and spas, tennis courts, gyms, scenic bike paths, The Golden Door Spa and an array of outstanding dining options. Peppers Salt Resort & Spa has a selection of bed and breakfast deals to choose from coinciding with the big event from $198* per room per night including full buffet breakfast for two. The luxurious Peppers Balé Salt is another stunning base offering one and two bedroom apartments with spectacular ocean views from $379* per room per night. For bookings phone 1300 987 600 or visit www.peppers.com.au. Mantra on Salt Beach also has one bedroom suites from $210* per room per night over the event period. For bookings phone 13 15 17 or visit www.mantra.com.au. *Conditions apply and subject to availability. Block out dates apply. Valid for sale until 12/09/2010 and travel from 10/09/2010 to 12/09/2010.